To honor Athletes, Coaches, Activities Directors, Trainers, Equipment Managers, and SHS Alumni (i.e. past achievers) who have made a major contribution to the sports culture within the boundaries of School District #834. 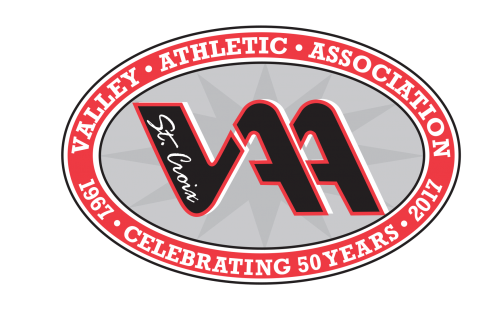 The St Croix Valley Athletic Hall of Fame was created to recognize and honor individuals and teams high school sports achievements and is sponsored by the St. Croix Valley Athletic Association. Nominations for the Hall of Fame can consist of former athletes, managers, teams, coaches, trainers, administrators, and supporters. The St Croix Valley Athletic Hall of Fame selection committee reviews all nominations and determines if an individual or team is deserving of induction based on specific criteria. Individuals or teams meeting the selection criteria are enshrined each fall at the Hall of Fame Banquet. Played Varsity sports for Stillwater High School (SHS) or Stillwater Area High School (SAHS) or lived in School District #834. Not eligible until 10 years after their graduating class. Before all metro and all state teams were established. After all metro and all state teams were established. Must have been part of SHS or SAHS Varsity program for a minimum of 5 years. Eligible 2 years after service at SHS or SAHS in Varsity, Jr. Varsity, Soph. Programs. Graduated from SHS before 1956. Inductees can be a combination of all divisions listed above. Maximum number doesn’t have to be inducted. SHS Alumni (i.e. past achievers). Maximum number doesn’t have to be inducted. John Junker George Wohlers, Jr.
Over the years, the story associated with individuals, groups, or teams who receive recognition may have faded. If you are curious as to why an individual, team,or group was recognized please email the website administrator at web@stcroixcreative.com, We will do our best to reply with the story associated with the listing.